This is the one (dreaded) question every student expects to hear from their family and friends when they finish the semester and head home for break. They’re not wrong to focus on your grades; high school GPA is the best predictor of college success, and college GPA is a huge factor when looking at honor societies, internships, and graduate schools. However, I can definitively tell you one thing – good grades aren’t enough. This might be a surprising statement coming from a college professor. But, if you don’t take it from me, the college professor, take it from me, the college student who had good grades back in the day. I was that student who excelled in the classroom but did absolutely nothing outside of it. By the time I realized how far I had fallen behind my peers, it was the second semester of my junior year. Too late. When senior year rolled around, everyone had fully-stocked resumes and plenty of experiences to talk about in an interview. I had good grades. Guess who got all of the awesome jobs? People like this. Now, I did go on to get my master’s degree and work at a startup tech company; so don’t worry, everything turned out great when I put in the hard work! However, I’d rather you not make the same mistake I and so many other students have made. 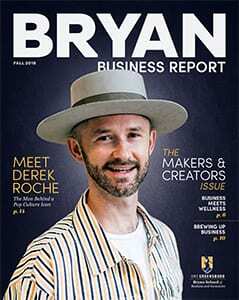 Bryan Gold is a career readiness challenge designed to help you prepare for the “real world” through personal and professional development during your time in the Bryan School of Business and Economics. You can earn points, level-up, and attain badges on your way to the top of the public leaderboard – all by completing activities designed to improve your business knowledge and skills, and ultimately enhance your employability. 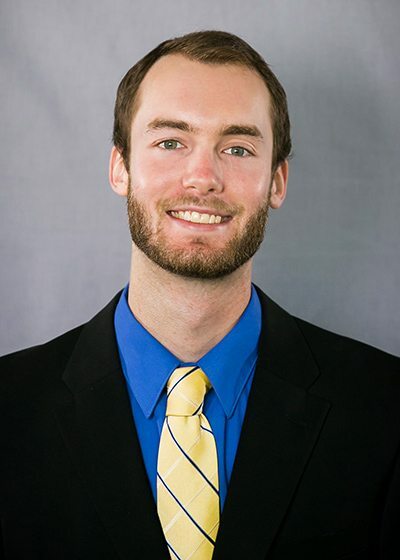 By simply logging into Bryan Gold on your phone or computer, you can instantly find a list of activities tied to eight key competencies highly desired by employers such as communication skills, relationship management, and leadership, to name a few. 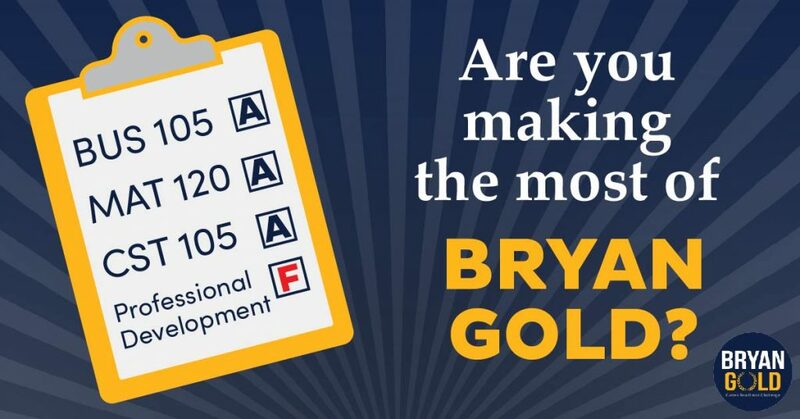 This means that every time you complete a Bryan Gold activity, you can rest assured knowing you just learned something that will have a direct impact on your career. What’s great about Bryan Gold is that you can track your progress along the way. Not just during your first-year, when you use Bryan Gold as part of the BUS 105 course, but throughout your entire undergraduate career. You can even share your personal dashboard with employers, so they can see all of your accomplishments and proficiencies. In addition to your personal and professional growth, there are also some pretty cool incentives if you are up for the challenge. The Bryan Gold winners for fall 2018 had an awards banquet dinner and were individually featured in the Triad Business Journal, and the champion even had lunch with Chancellor Gilliam. All for doing things you need to do anyway, like creating a resume and attending a Company Spotlight. Not too shabby, huh? Ready to get started? Just download the “Suitable” app or visit suitable.co, and login using your UNCG credentials. That’s it! So, next time someone asks you about your grades, tell them all about your stellar GPA (because it is important! )… and then tell them all about how you’re setting the Gold standard for young business professionals.